I have spent the last five years partnering with The Southern Alliance for People and Animal Welfare (SAFPAW) to serve people living at or below poverty level and with the homeless. Homelessness in one the most misunderstood issues we deal with in our current society. These people are not who we think they are and do not need what we think they need. Each person is an individual, just as each of us are. Each of them found themselves homeless through a series of unfortunate events or simple bad judgement. Because they are all unique, the only way to truly know how to serve them is to take the time to talk to them. I have learned so much from these people about resilience, faith and hope. And I am eternally grateful to the tireless outreach workers at organizations such as SAFPAW who serve these people every single day. 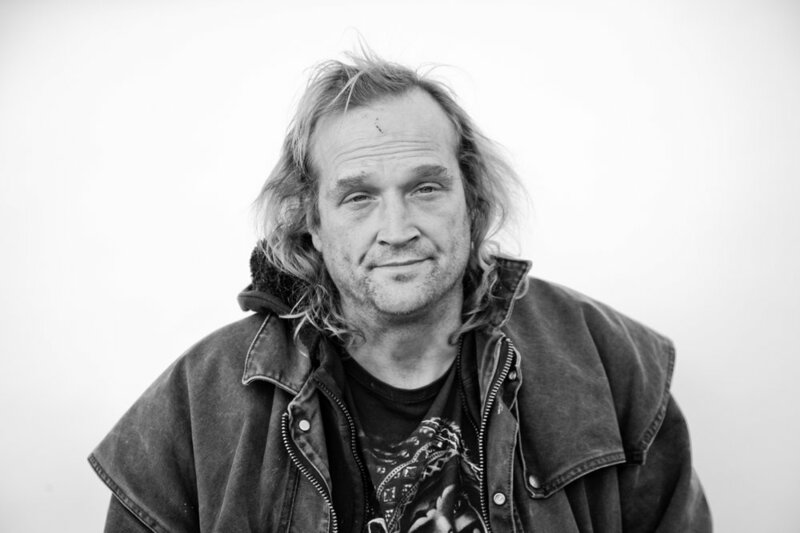 SAFPAW's Homeless Outreach Program provides food, temporary shelter, and other basic needs to the people they serve. They also assist those looking to secure more permanent housing by helping with transportation, acquiring necessary IDs (such as social security card, state ID or drivers license, birth certificate, etc. ), helping them through the application process—and everything in-between—including move-in day. They also provide pet food, supplies, and veterinary care, spay / neuter services free of charge to pet owners who are homeless or living at or below the poverty level. This year, on my annual pilgrimage to provide enough supplies to ensure these people survive the winter, I took a plain white backdrop with me out into some of the homeless camps in and around Nashville for a series of portraits. I wanted to take each of these individuals out of their environment so that we could see them as individual human beings rather than being able to mentally confine them to their living conditions. Some of the people who agreed to be part of the project were kind & brave enough to share who they are and how they got there with me. Lost his job due to Diverticulitis and no health insurance. Lost her husband, a retired Veteran, to Alzheimers. The company he worked at for 23 years closed. His home was seized under eminent domain. Left a living environment where she was sexually assaulted. Teaches newly homeless people how to survive. Was thrown out of his home as a teenager. After being released from prison was never able to find viable work. Her vehicle was stolen while she was out of state, leaving her stranded. Suffers from PTSD and panic attacks.